​When JB was first diagnosed, his family was LOST. They scoured the web to find out anything. As time has gone on; JB, JB's Keys, and our DMD network has grown. ​Below, find the best resources we have assembled. 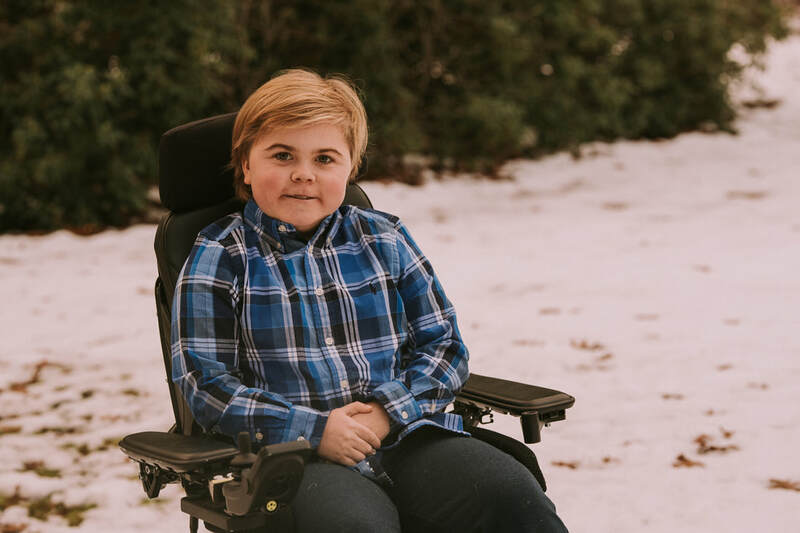 ​Newly diagnosed Duchenne families often have many questions and need a place to turn to for answers as they begin to process information in their own way and at their own pace. Even patients and caregivers already on their journey with Duchenne sometimes find themselves facing new hurdles, raising the need for information. Nationally recognized organizations, such as those listed here, can serve as a valuable resource for physical, emotional and family-centered support. They provide information that you can tailor to your interests and situation by way of online guides, conferences, webinars, and regional meetings. Parent Project Muscular Dystrophy Fights to end Duchenne. We accelerate research, raise our voices to impact policy, demand optimal care for every single family, and strive to ensure access to approved therapies. Information on everything related to Duchenne. Muscular Dystrophy Association Dedicated to curing muscular dystrophy, ALS and related diseases. Join us today. Volunteer. Fundraise. Find Services. Types: Amyotrophic Lateral Sclerosis (ALS), Charcot-Marie-Tooth Disease (CMT), Congenital Muscular Dystrophy (CMD), Duchenne Muscular Dystrophy (DMD). Duchenne.com A source of knowledge, hope, and sharing created for the Duchenne community. Trial Bulletin Search for Clinical Trials for Duchenne. ​Duchenne patients typically lose the ability to walk between the ages of 8-12. Medical equipment and assistance with adaptive living is an early and common need of Duchenne families we hear from. Several non-profit organizations are dedicated to improving the lives of children with physical disabilities. Custom wheelchairs, widened doors, ramps, stairlifts and wheelchair vans are just some of the things these organizations assist in providing. 4 Jakes Sake Providing equipment to make homes more accessible for children with Duchenne Muscular Dystrophy. getATstuff Serving New England and New York - Assistive Technology devices for sale or for free (includes accessible vans). MassMatch/reQuipment Durable medical equipment (DME) re-use program offering free refurbished wheelchairs, scooters, shower chairs and more to adults, children and elders living in Massachusetts. McLindon Family Foundation Providing special needs children with adaptive bikes. Nonprofit Funding for HC Accessible Vehicle Grants (by State) Look for accessible vehicle grants by state. NOVA (The National Organization for Vehicle Accessibility) Assisting those with mobility needs through education, information and product acquisition. Smile Mass SMILE Mass has several pieces of equipment for families to borrow and take anywhere with them, FREE OF CHARGE. Special Kids Fund Wheelchair van assistance program. The Mobility Resource A network of mobility dealers specializing in new and used wheelchair vans who make traveling easier for you and your loved ones. Our customized solutions are available to those with a wide range of evolving mobility needs. ​​Caring for someone with Duchenne can be financially burdensome. Several foundations and organizations are focused on providing grants or monetary assistance for children and families facing a rare diagnosis. Whether you need help with insurance coverage, medical care, medical equipment, vehicle modification, or raising funds to support your family, these organizations are here to lend a financial hand. ABLE Accounts Dedicated to improving the quality of life for Massachusetts families with multiple children with special needs. Aubrey Rose Foundation Providing emotional and financial support to help families caring for children with life threatening illnesses. Challenge America Providing equipment and services that enhance the quality of life and improve the physical, cognitive, emotional and social development of children who are physically or developmentally challenged and those coping with chronic illness. First Hand Foundation Funding for children with health-related needs when insurance and other financial resources have been exhausted. Giving Angels Foundation Awards grants to lower income families with child(ren) with disabilities. Ray Tye Medical Foundation Dedicated to funding in-hospital life saving medical treatment and surgeries for those who have no or inadequate medical insurance, and for which no other financial resources are available. Patient Airlift Services (PALS) Arranges free air transportation for individuals requiring medical diagnosis, treatment or follow-up, for compassionate assistance. Spectrum for Hope Financial assistance, serving Massachusetts families with 2 or more disable children. The Assistance Fund Copays shouldn't interfere with your life. That's why we work everyday to give you access to the medications you need. UnitedHealthcare Children's Foundation Improving children’s lives and help families gain access to the care they need through medical grants. Families thrust into a life of Duchenne are unprepared and often unequipped to deal with the journey ahead. It might even feel like they have lost a grip on their lives and the situation overall. Various organizations focus on enabling “normal” activities for those with life-threatening illnesses. Positive, family experiences already adapted to special needs mean you don't have to worry about anything but having fun and creating memories. Access Recreation Boston A great resource in the Boston and surrounding areas for adaptive recreational activities. Camp Endeavor Day camp in Bridgewater that is open to children 4-22 diagnosed with neuromuscular disease. Camp Promise A barrier-free, weeklong overnight camp for kids, teens, and adults with muscular dystrophy or select neuromuscular diseases—regardless of age, capability, or ability to pay. Camp Sunshine A retreat for children with life-threatening illnesses and their families. David's Refuge A place of respite free of charge for parents and guardians who care for children with special needs or life threatening medical conditions, allowing them the much needed time to rest, reflect and recharge from the stress of full-time caregiving. Double H Ranch Children dealing with critical or life-threatening illnesses the chance to experience the magic of the Adirondacks. Dream Day Cape Cod Week long FAMILY camp on Cape Cod offered to at no charge to families with children with life-threatening conditions. Easterseals Day and residential camps serving children, adults and families of all abilities. Federation for Children with Special Needs - Summer Fun Directory with camp listings to meet special needs. MDA Camp Free residential camps for children with neuro-muscular disabilities. Project Angel Fares Provides all travel expenses paid trips to Morgan’s Wonderland & Inspiration Island, the world’s first ultra-accessible theme park, where anyone can play. Ride A Wave Giving children with special needs the chance to feel the thrill of riding a wave and experience a safe, fun-filled day at the beach. Team Impact Connects children facing serious and chronic illnesses with local college athletic teams, forming life-long bonds and being a solid member of the team. Navigating the various government and social programs that provide help to Duchenne patients can be overwhelming. Here, we include links to various government programs. Massachusetts Vehicle Tax Exemptions - Parents or legal guardians of disabled individual are exempt from sales tax on purchase of a handicapped vehicle (file form MVU-33). Additionally, parents or legal guardians can file for excise tax abatement (form 126-MVE). Children facing a life-threatening medical condition deserve to have amazing experiences. Wish foundations exist to help grant them just that. Requesting a wish for someone with Duchenne could have the power to strengthen their mind and also let them be a kid again, even if for a dream-like moment in time. Be sure to read through each foundation’s criteria and area of expertise to help find the perfect match. A Special Wish Granting the wishes of children under the age of 21 who have been diagnosed with a life-threatening disorder. Catch-A-Dream Granting outdoor adventures to children from across the United States. Cherished Creations Enriches and empowers the lives of seriously-ill children and the underprivileged, giving them hope for a brighter tomorrow. Do It For The Love Making live concerts, by any artist, available to those who need the healing power of music the most. To date, we have made over 1000 musical wishes come true thanks to the love and support of our incredible community. Hunt of a Lifetime Grants hunting & fishing dreams for children age 21 and under, who have been diagnosed with life threatening illnesses or life threatening disabilities. Kids Wish Network Dedicated to infusing hope, creating happy memories, and improving the quality of life for children with life-threatening conditions and those struggling with life-altering situations. Make-A-Wish Granting the wishes of children with life-threatening medical conditions to enrich the human experience with hope, strength and joy. Special Spectators Creating VIP, all-access Game Day experiences for seriously ill children and their families at sporting events across the country. Sunshine Foundation Answers the dreams of chronically ill, seriously ill, physically challenged and abused children ages three to eighteen, whose families cannot fulfill their requests due to financial strain that the child’s illness may cause. The Marty Lyons Foundation Fulfills the special wishes of children who have been diagnosed as having a terminal or life-threatening illness by providing and arranging special wish requests. We are unique in that we will grant a second wish to a deserving child.